Smiley Emoji was born in Laughing Emoji 16066 days ago according to encyclopedic information. She dreamt every Monday and every Friday in her childhood about a career as an actress. One day Smiley Emoji on an advertisement became attentive. There an amusing witch was searched for the sixth leading role. Smiley Emoji used the chance of her life. Then directors wanted to give her no spare time from the acting. She begged for every possible free day. All directors wanted to engage Smiley Emoji absolutely in their newest film. Only when she required higher wage, finally, Smiley Emoji got her first holidays. On account of her prominent status many Emojis require Selfies with her. That's why Smiley Emoji organised 235 days ago one Selfie day with her. During 24 hours her followers with Smiley Emoji could take a common photo. About her privacy no journalist may know something. Required Smiley Emoji quite officially from the politicians of Emoji. In your last roles you often play teacher. Is this your new predilection? Smiley Emoji searches something in her pocket: I would be former with pleasure teacher, but my own teachers said to me that I was not taken seriously as a teacher. A teacher must look extremely serious. The reason is: My very amusing facial expression!! Nevertheless, I studied some semesters at the educational university for Emojis in Emoji List. But the way to the university lasted too long time. That's why I interrupted my educational study. I regretted this by no means. It is striking that you very often have the name Emojia in your roles. Your role as an Emojia is often a strong female Emoji. Must you simply transfer your same role on different movies? Smiley Emoji looks in all directions in the room as if she looked everywhere for an answer: I often discuss with the directors my name in the movies during several hours. At the end we agree on Emojia. It is already aware to me that I transfer the same Emoji into the new movie in every film. Probably I simply always get so dull roles. 888 days ago a director said to me: Smiley Emoji, do you want to play teacher Emojia in my new movie? I answered quite automatically anyhow. Later I had a strange feeling that I should play a teacher with the same name again. One day I considered even to be called official Emojia. For that I would have to change my identity. However, this would be very costly. Moreover, I have become famous as Smiley Emoji. This is why a name change is not possible for me. A charlatan comes unsolicited to the room and shouts: Smiley Emoji is married and has 3 children. In addition the charlatan hands a proof. Thereon he requires a donation by the height of 70 local Bitcoins. At this time bodyguards of Smiley Emoji hear about the visit of a stranger in the interview room. After this event they run in the room with several axes and threaten the charlatan with consequences. Thereon the charlatan presses on his nose. Suddenly there explode all axes of the bodyguards. After this events they try to arrest the charlatan. But they fall on the ground on the remains of their axes. Then there disappears the charlatan. Smiely Emoji looks very much shattered. Finally, the charlatan betrayed her best kept secrets. Suddenly Smiley Emoji speaks voluntarily: Where from this charlatan knows about me so a lot of confidential information. Somebody had to have betrayed me. Because of this events I must discuss with my lawyer the next action absolutely. Smiley Emoji calls up him (her lawyer). The extraterrestrial Sweasy26 hears the conversation of the both. The lawyer shouts very much loudly: I am able to do all laws by heart, but, unfortunately, I do not have means against charlatans. The lawyer of Smiley Emoji presents himself as a victim of the charlatans. Well. I would not like to ask you whether the story of the charlatan is real. That's why I rather ask about your role in the last movie. You played a linguistic teacher in Japanese Emoji. Had you to learn for this role Japanese? Smiley Emoji starts to laugh: I learnt a little Japanese during my study as a teacher. This was an elective subject. This is why I am able to do maybe 124 words in Japanese. Moreover, I can read the alphabet of the Japanese well. Up to now more than 124 words I could not store in my brain. One day maybe an USB-Stick comes for the enlargement of the storage capacity of the brain. In this case I could immediately store the whole dictionary in my brain. In a movie you had to play a religious instruction teacher. How is your relation to the amusing houses of Emoji? Smiley Emoji looks at her face in the mirror: I laugh anyway very much with pleasure. That's why I visit at least once per week an amusing house. The common laughter gives big pleasure to me and my family. Some time ago an Emoji demanded the reintroduction of the currency of the laughter in Laughing Emoji. This made me very proud that I was born in this town. You recommend the reintroduction of the traditional currency of the town. Are you discontented with the local Bitcoin? Smiley Emoji looks guilty: I am partially for it. But I must say that I manage by the today's currency. Finally, I have more than enough from that on my account. The advantages of the early currency are: The jokes cannot be stolen!! Thus Emojis had big protection before the theft. The local Bitcoin must be hidden from the misers and finance managers. These are quite real disadvantages. Moreover, the local Bitcoin also needs too much place. Nevertheless, I would have nothing against the fact that we would reintroduce our old currency in Laughing Emoji. At least locally this would be one really solution. Suddenly somebody knocks very decently and politely at the door. Then this Emoji comes to the room. It concerns the lawyer of Smiley Emoji. He says that he exactly studied the method of the charlatan. He came to the conclusion: The charlatan had to have spied out Smiley Emoji at least during 166 days. Maybe the charlatan worked as a photographer of the celebrities. On account of these statements Smiley Emoji felt a little bit made easier. She thanked her lawyer. Then the lawyer required 277 local Bitcoins from his client. Smiley Emoji started to tell jokes. Thereon the lawyer reminded the actress that he understood no jokes. He required real money. Smiley Emoji became distrustful. She said the lawyer that he gets, as usual, the money on his bank account transferred. The lawyer threatened himself with a lawyer. 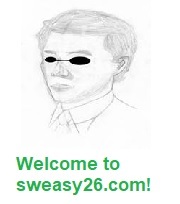 The extraterrestrial Sweasy26 suspected the previous charlatan behind the lawyer. That's why he informed the local police of Laughing Emoji. Later policemen came to the room. They could prove to the lawyer that he was a charlatan. With it he was arrested. Smiley Emoji had big mess in her brain after this event. What do you learn for your life after this story with the charlatan? I will appeal to me, to every Emoji and to other people with care. Thereby I must be very carefully in dealing with unknown Emojis and aliens. Will you further organise the Selfie day with your fans? Smiley Emoji considers 17 seconds: I make this of course. I do not want to disappoint my followers. My fans can thereby promote me free of charge in the Social media of Emoji. Are you not enough famous? Smiley Emoji must look on the local Internet for her full name on all search engines: The biggest search engine of Emoji shows 2,456,678 results over my name. The second largest search engine: 2,098,367 results. And the third-biggest search engine: 1,246,688 results. I am proud of myself. I, Smiley Emoji have totally only 5,801,733 results in my native country Emoji. Nevertheless, this is wonderful!! And every Selfie with a fan certainly increases my national popularity. Many Emojis send with pleasure Selfies with prominent personalities in their Social media profiles. Do you need really to increase the number of the results to your name Smiley Emoji on the Internet? Smiley Emoji laughs at this question: Today I have found out for the first time in my life the number of the results over my full name. Ordinarily I have the red carpet under my feet in an interview room. Today I had to search the red carpet in vain. A pink carpet not even was under my feet, although I briefly visited the educational university. Do you have Jupiter's roots or are you very looking for the red carpet? Smiley Emoji answers with high head: Nevertheless, on account of my fame in Emoji I must have a red carpet under my feet. Otherwise I feel not famous enough. Today I thought even that I was quite a normal Emoji. But this is not in such a way. I have at least four interviews per week about my roles. It is not fatally for me without red carpet, but I need this carpet. The reason: The red carpet reminds me constantly of my professional fame. Because of these statements two bodyguards decided to bring a wide and clean red carpet for Smiley Emoji. They ordered a red carpet for her customer by emergency. The trader of the carpet went with an outpatient clinic to the room of the interview. After only 7 seconds the red carpet was already under the feet of Smiley Emoji. The trader of the carpet had stingy roots from the Jupiter. That's why he asked of 7654 local Bitcoins. The bodyguards paid this amount directly. After this event Smiley Emoji calmed down. She took over the costs for the red carpet. She also took down the name of the trader in a black list. The trader might never thereby make a free Selfie with the actress. What do you want to tell the readers finally? I would be glad very much if you looked my newest movie with me in the leading role as a teacher for humour sciences in the premiere in Laughing Emoji. 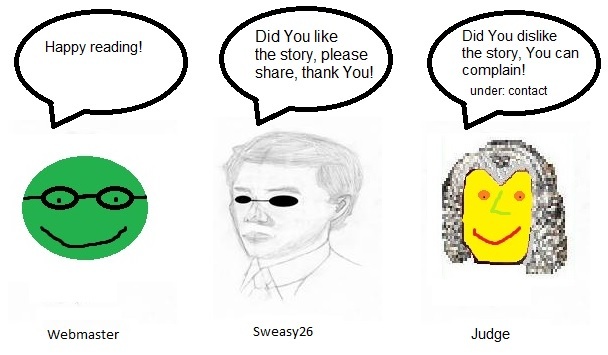 After the answer of this question Smiley Emoji said goodbye to the interviewer Sweasy26. Outdoors nearly six Emojis waited for her. A bodyguard hid the actress with a tin-foil from radiation of the unknown Emojis and aliens. The other bodyguard took the red carpet. Smiley Emoji was brought in the protected vehicle to her desirable place.